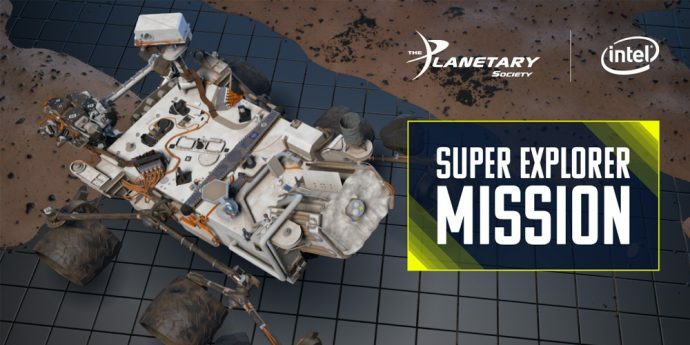 What’s New: Today Intel announced Rosemarie Day as the winner of the Super Explorer Mission of the Intel® AI Interplanetary Challenge to use artificial intelligence (AI) for space exploration and planetary research using Intel-optimized AI technology and frameworks. As the winner, Day will expand her space knowledge with the grand prize: lunch with celebrity science personalities Bill Nye and “Star Trek: Voyager” actor and space enthusiast Robert Picardo. About the Winner: Rosemarie Day is a graduate student at Worcester Polytechnic Institute, where she is studying data science. Her research is focused on data engineering methods for extracting, loading and transforming data. She has an undergraduate degree in computer engineering from the University of Hartford, where she studied the impact of the environment on migraines. What the Winner Proposes: Since the inception of the Landsat satellite, scientists have been able to use the captured images of the Amazonian rainforest to identify areas of deforestation and types of plant growth based on geolocation. Day’s idea is to use AI to classify plants and analyze deforestation and growth to give a detailed view of how the Earth is changing over time. The proposed solution includes building a model with three different classifiers: location classifier, plant classifier and deforestation classifier using the Intel® Optimization of TensorFlow*. Once the model reaches a certain threshold for accuracy, the images could be made available to the community for further analysis in additional areas of population growth, urbanization, migration patterns and others. How the Contest Works: The Intel AI Interplanetary Challenge is a two-phase, 12-week challenge intended for software developers, data scientists and students who are interested in applying Intel® AI technologies to solve space-related problems. More than 5,000 developers participated in the two-part challenge, the Cadet Explorer Mission and the Super Explorer Mission. Participants submitted a wide range of topics, including ideas on AI for space debris clean up, agriculture utilizing GMOs on Mars, data transmission in space, Mars microscopic sampling, and evaluation of the effects of spaceflight on human and primate retinas. As part of the contest, developers received access to resources and training from the Intel® AI Academy, AI Training, Intel AI DevCloud and other tools, such as libraries and SDKs, to solve real-world space challenges with AI.